Bring your imagination for this rare cosmetic fixer opportunity in Timberlane. 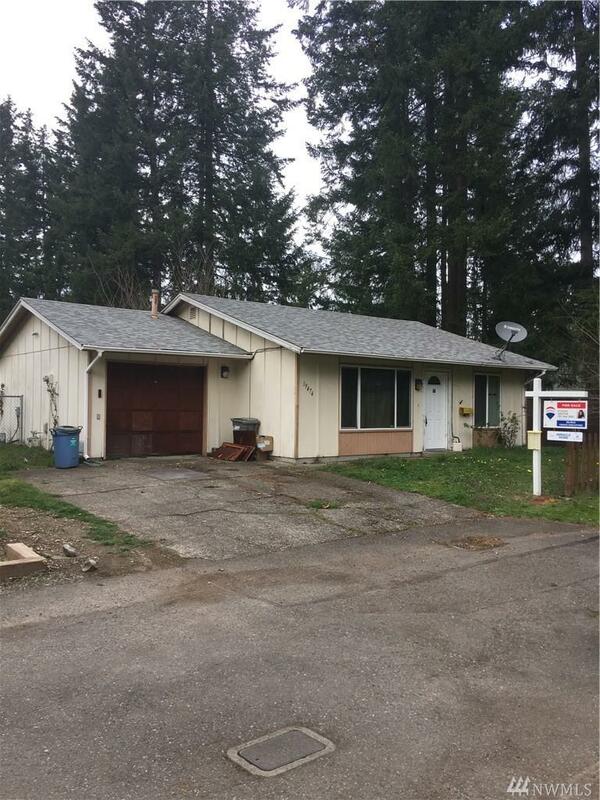 Great starter home or possible rental. 2 bed, 1 bath with washer & dryer area off kitchen. Open living room with large front window with tons of light. Attached 1 car garage. Partially fenced corner lot with back patio and nice sized yard, located at the end of the cul-de-sac. Close to schools, club house, sports courts, & community pool. Minutes to shopping & bus lines. Sold as-is. Schedule your tour today! Listing Courtesy of Re/Max Choice Executives. The listing data relating to real estate for sale on this web site comes in part from the Northwest Multiple Listing Service. Real estate listings held by brokerage firms other than The Kendra Todd Group at Keller Williams are marked by the "three tree" symbol; detailed information about such listings includes the names of the listing brokers. Data last updated 2019-04-22T18:16:20.88.